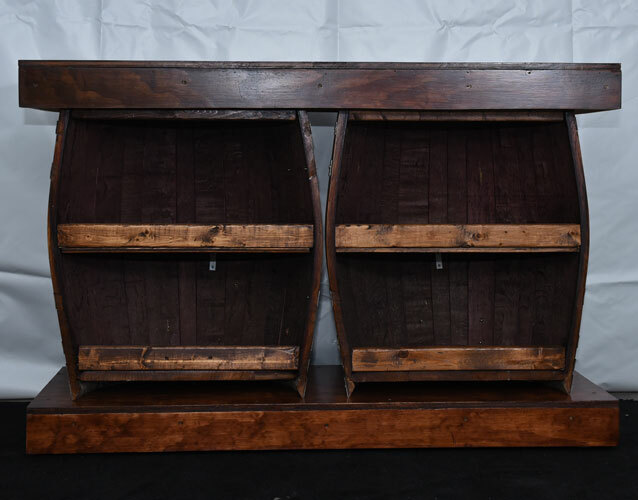 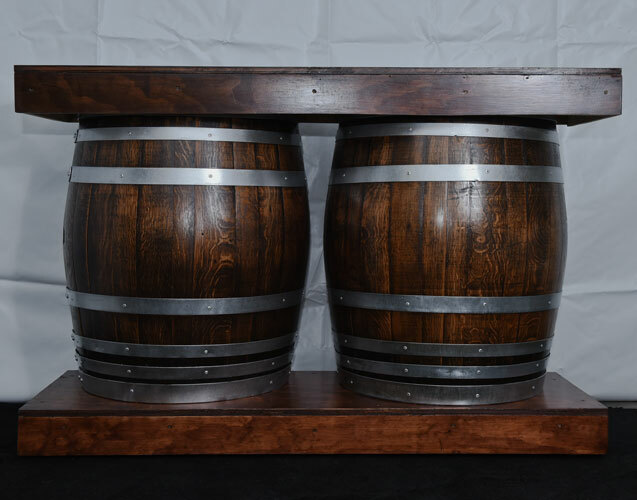 Custom made wine barrels with shelving, underneath a hardwood table top. 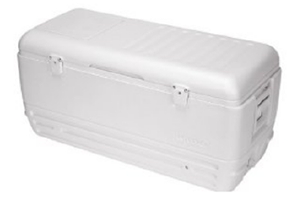 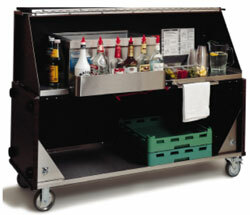 Comes with 2 ice bins, 2 cutting boards, 1 speed rail (fits 1-liter bottles), and a durable steel shelf below for storage. 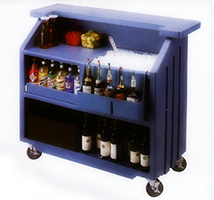 Rolls on 6 industrial strength casters and features 2 ice bins, 2 cutting boards, a speed well and a folding shelf below. 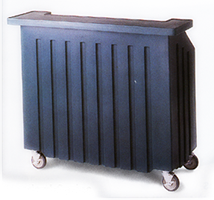 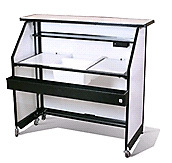 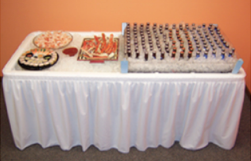 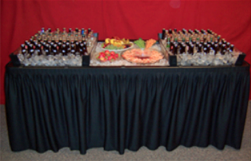 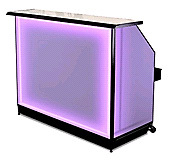 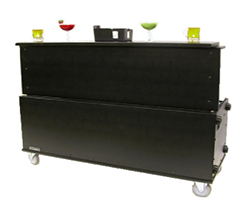 Interchangeable acrylic panels conceal the casters and give the bar a stylish appearance.